Home / 2019 / AdmBachelor / Admission / AdmLD / Bahria / Karachi / Spring2019 / Bahria University (BU) Offers Admissions 2019 in Bachelors. 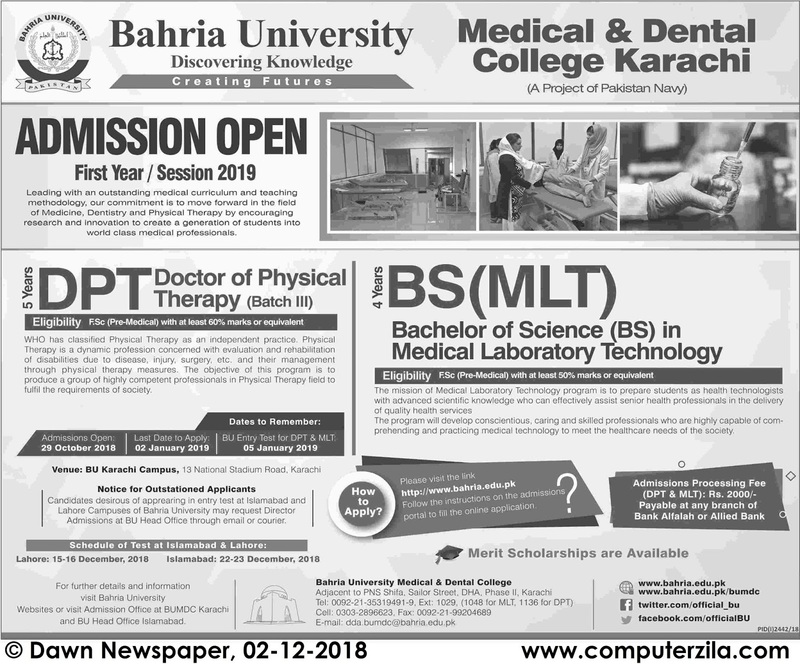 Bahria University (BU) Offers Admissions 2019 in Bachelors. Admissions Open at Bahria University (BU)'s Karachi Campus for the batch Spring 2019. BAHRIA offers admissions in different fields of study for Bachelor Programs.